Bluetooth headphones are by no means in short supply. 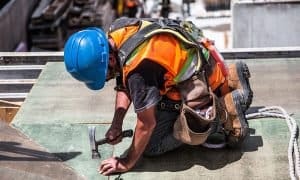 From earbuds, over-ears and on-ears you won’t have any issue finding Bluetooth headphones in any brick and mortar, let alone online. 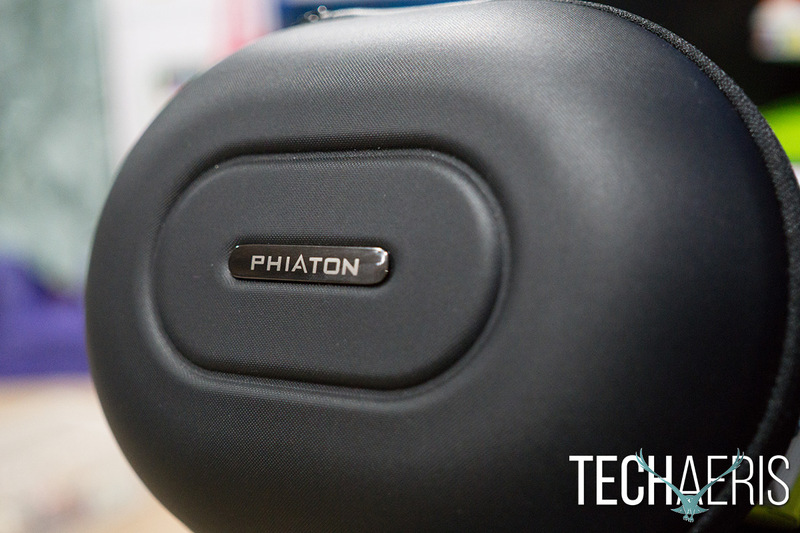 Phiaton realizes you can get Bluetooth headphones just about anywhere, but they also know not all of those headphones are created equal. The company sent us a pair of their new Phiaton BT 460 over-ear Bluetooth headphones. 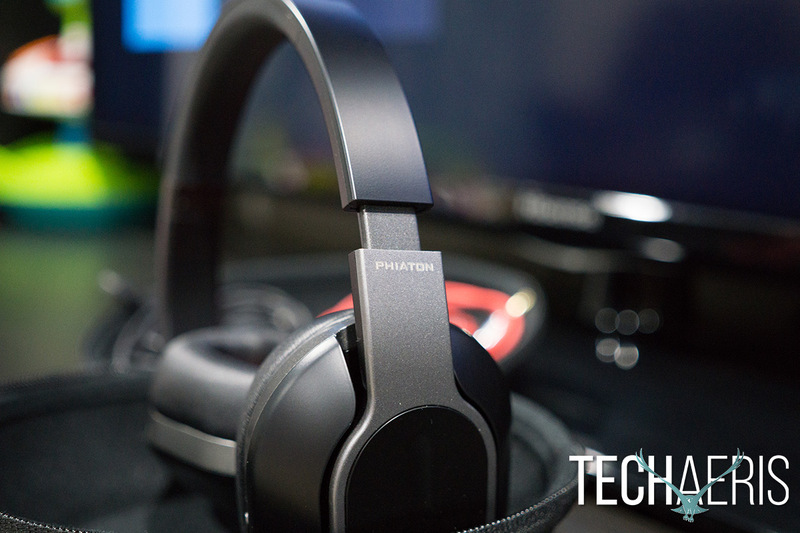 Read on to find out why the Phiaton BT 460 BT’s earned our top pick award. There is a certain “other” brand of headphone on the market that one might say the Phiaton BT 460 Bluetooth headphones may resemble. While there is a subtle hint to that “other” brand design I think Phiaton’s design overall is much sleeker and minimal. Mostly made from high quality plastics there is some metal in these very well made over ear headphones. The build quality is extremely high here, nothing feels cheap about these headphones. All of your controls, inputs and buttons are located on the right ear cup. The power button/Bluetooth pairing button, Micro-USB charging port, 3.5 mm headphone jack, touch control panel, microphone and LED indicator. The ear cup pads are nice and soft and feel very nice on the ears and I was able to wear them for hours with almost no discomfort. The headband is a bit stiff but not awful, though after prolonged use it was starting to bother my head. Overall the design and comfort of these over ear Bluetooth headphones is really of high quality. 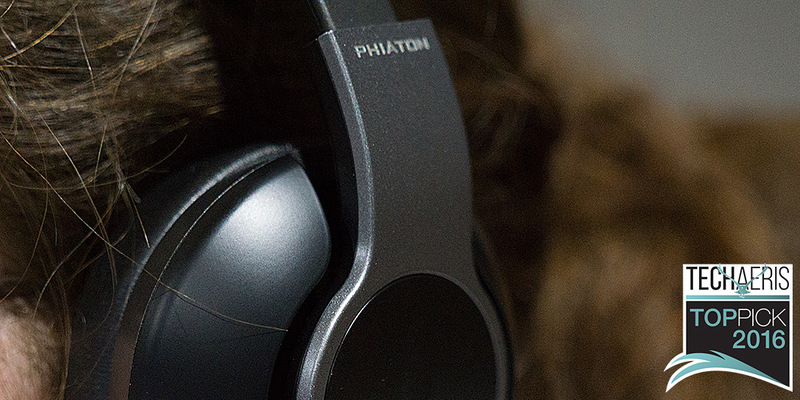 Using the Phiaton BT 460 headphones is pretty straight forward. 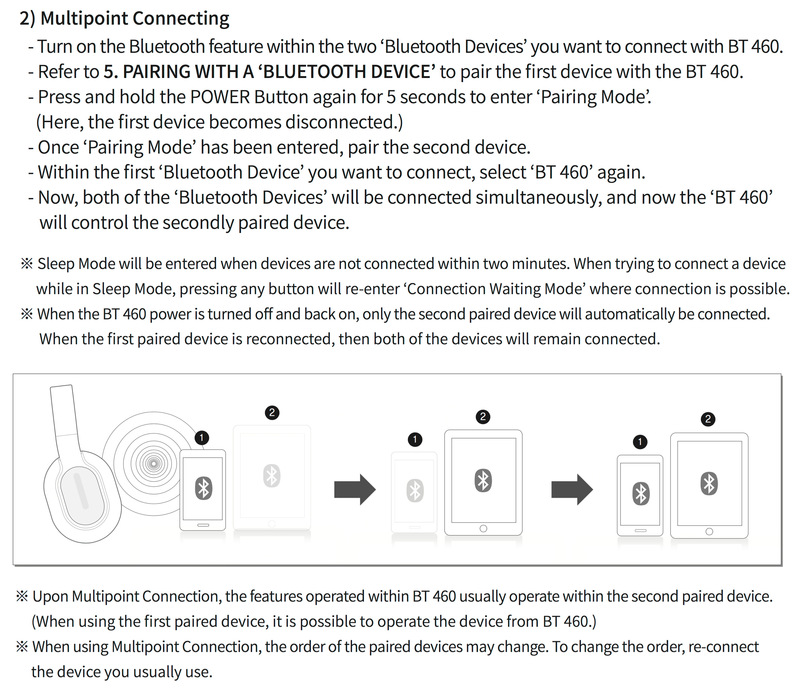 Power them up, hold the Bluetooth pairing button until you’re in pairing mode, look for the headphones on your device’s Bluetooth menu and pair. 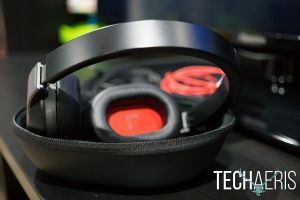 The headphones also have Multipoint Connection allowing you to connect two devices at once to the headphones. Using the touch controls is what makes these headphones one of our Top Picks. On the right ear cup there is a touch panel that will allow you to control your music, accept and make calls. The gestures are extensive so we’ll go over the basics here but be sure to consult your users guide for the full range of gestures available to you. Double tap the touch panel or press the power button for about 1 second to play music from whatever device you’re connected to. While the music is playing, you can double tap touch panel or press the power button for about 1 second to pause the music. The music will be played from the paused point when starting the music again. Sweep the touch panel to top to increase volume and sweep towards the bottom to decrease the volume. Sweep the touch panel towards the front to fast forward and towards the back to rewind, can also be used to move to the next or previous song. The Phiaton BT 460 headphones also have Smart Play/Pause, something also found on more expensive headphones. This allows you to take the headphones off and they sense they have been removed and pause the music. Once you put the headphones back on the music continues where it paused at, it’s really a great feature and keeps you from having to pause your music whenever someone wants to bother you. Overall these headphones are packed with features, if you pick them up I highly recommend reading the users guide. Phiaton has done an amazing job on the sound on these headphones. Over Bluetooth these things sound stellar and wired even better! First thing is, they are loud! I mean very loud! So loud in fact, I couldn’t take it to full volume without having to take them off my head. I took them as loud as I could tolerate and at that level everything sounded nice and clear. The low end is favored a bit here, and the mid and high ranges are well balanced. Most all types of music sounded good on these and even at the loudest tolerable volume there was no cracking or breaking in the sound. The Phiaton BT 460 headphones have some of the best sound I’ve heard from this price point in over ear headphones. 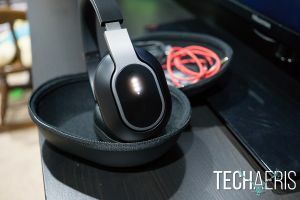 While there are other headphones that are much better sounding, most of those will cost a bit more than the $199 cost of the BT 460’s. Overall the sound is better than what the asking price is and very worth the price of admission. I don’t generally use headphones for phone calls but the few test calls I made sounded good. The other party was able to hear me clearly and the connection never went out. Phiaton advertises 20 hours of music playback and 110 hours of standby. We tested the music playback battery life and consistently hit around 21.5 hours at around medium volume so a bit more than advertised. Standby time was also just over the advertised time at around 113. Overall the battery life is more than acceptable here. 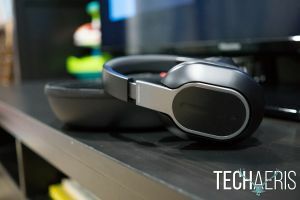 Priced at $199 for what amounts to excellent build quality, excellent sound quality (with emphasize on bass), and excellent features… these are some of the best value headphones on the market. Phiaton also includes an amazing hard shell case for the BT 460’s that is of amazing quality. This type of case is sometimes not even found on higher end headphones. 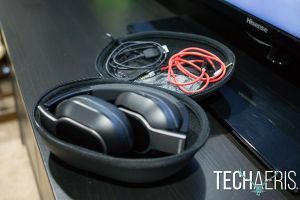 The case fits the fold-able headphones perfectly and protects them from being damaged when on the go, a great addition for the price you’re paying. Very worth looking into, especially if you love clean bass and lots of it. Design is slick, follows some of the other popular brands design language but much more minimal. Intuitive gesture controls found on higher priced headphones. Amazing sound for this price point. The headband can get uncomfortable after extended use. For the $199 they're asking, you're getting a lot of features along with a nice clean design and pretty amazing sound for the price. 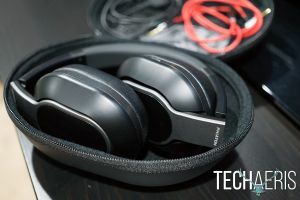 *We were sent a review sample of the Phiaton BT 460’s for the purposes of this review.